Do you ever wonder why some people earn easily while others struggle with their finances? 1% population in the world earn 96% of the income in the world! It’s not an accident, these people think differently! Would you like to know how? Creating the desired income has been a secret to many and yet once you study the right information you can start thinking correctly and see your bank balance multiply! The principles taught at this event come from Think & Grow Rich by N. Hill and 58 years of research into success psychology. 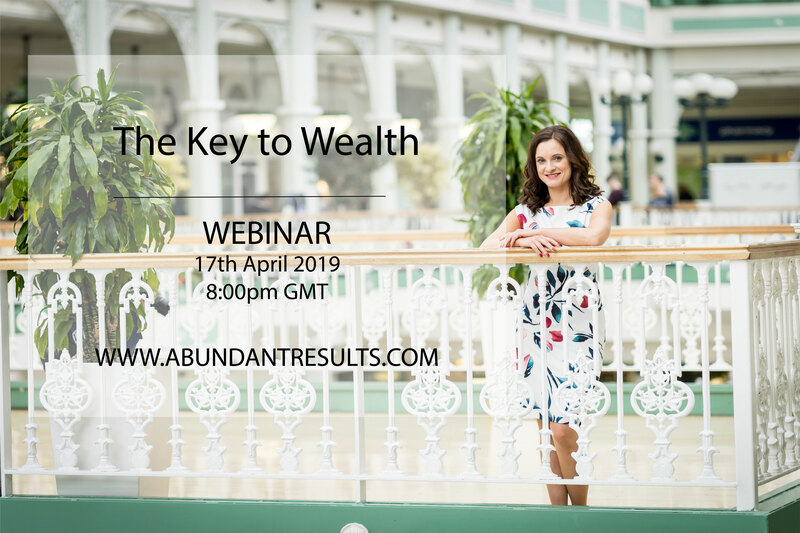 Join us for this webinar for a full hour packed with information that will bring your results and your income to another level! Ewa Pietrzak is a success coach and Thinking Into Result Consultant, trained and mentored by Bob Proctor (star of ‘The Secret’). She’s passionate about helping people experience and express their potential. She enjoys showing clients how they can get whatever they want, easier and faster than they thought before.